Everyone knows that turning 21 is a pretty big deal. You’re well and truly into adulthood (okay, three years in), but why wouldn’t you want to celebrate this milestone? Since you only turn 21 once, you’ve got to make it a memorable one. Now is the time to party, be selfish, and enjoy doing exactly what you want to do without worrying about anyone else! So, to truly enjoy your heyday, here’s how to turn your 21st in to a huge event, celebrated with friends, family, laughter, speeches (some good, some bad) and drinks… lots of drinks. Make sure that you suss out your venue and how many people it can hold before you put a deposit down and start planning the party favours! Figure out whether you want to book out a full venue for the whole family and all your friends, or whether you want it in a more intimate setting with a smaller group. From the glamorous mansion-house Baroq House to the extravagant setting that is Bond, they’re two of the best 21st birthday function venues that Melbourne has to offer. Since you’re all about adulting now, don’t go for the first deal you’re offered simply because you think it’s the best you’ll get. Make sure you stand firm on what you want, including your budget, so that you don’t waste yours or anyone else’s time. Whether you want to pay for a fully catered event or you’re going to put a tab behind the bar, function packages are a great way to get the most out of your money. Contacting a few venues in order to compare what they’re able to offer and what they can potentially throw in the mix is important as you’ll be able to spend more money on the fun stuff like live entertainment, a killer DJ, and cocktails! Okay so we’ve all rocked up to a birthday party before that has zero atmosphere and no fun factor. Don’t, we repeat DON’T let that be your 21st birthday. Instead, make sure you work with the events team at your chosen venue before the big day. Whether you go for a live band, a renowned DJ or even if you’d like to hire a comedian, entertainment always gets the crowd pumping and creates a buzzing atmosphere before you all decide to let loose on the dancefloor. 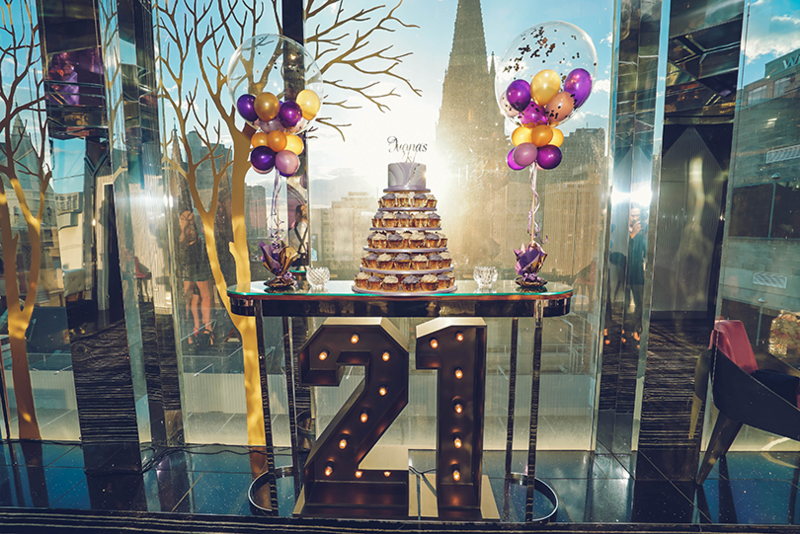 Different 21st birthday function venues in Melbourne will offer different catering options. Whether you’re looking for sharing platters to go around the party, or even various food stations offering a range of different cuisines, you should always speak to the events planners at your chosen venue to come up with creative food menus that will suit your guestlist. Put it this way – a sit down dinner is unlikely to work for a bunch of twenty something party animals! If you’re hoping to host your 21st birthday party in Melbourne, speak to an events manager at Melbourne’s Best Functions to discuss the right venue for you. We know that an incredible venue is the just the beginning of making your birthday a special occasion, which is why we’ll do everything we can to make your vision come to life.